Home » Expert Advice » What do I need to know about doing a basic renovation? What do I need to know about doing a basic renovation? It’s highly likely that once you get the keys to your new apartment, you’ll want to think about doing a renovation. 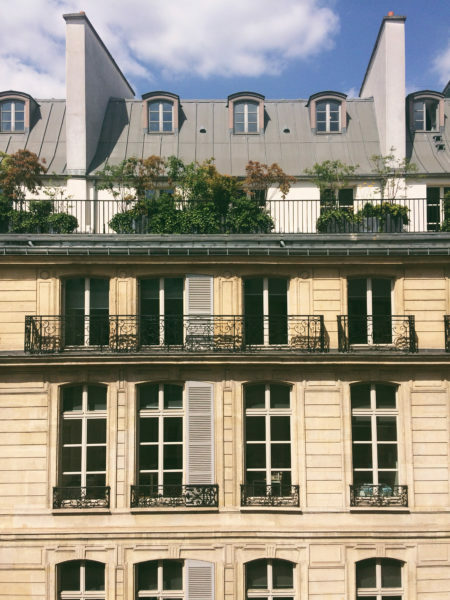 It’s not unusual for French owners to live in the same apartment for many years, without having done much to keep it up to date, or if the place has been rented out then it may be showing signs of wear and tear. Also, it’s these types of property that tend to be the better bargains – if your place is ‘move-in ready’, you’re going to be paying heavily for the privilege. In any case, undertaking a renovation project means that you can design the apartment exactly to your own tastes. Alternatively, if your apartment was purchased as an investment for long-term rental, you can plan accordingly for that too. With all that in mind, there are one or two things it’s good to know before embarking on a basic renovation – i.e. nothing that would affect the structure or exterior, and assuming that you live in a normal building with no special historical significance (which have their own special rules). The first thing to say is that you should expect to be on the premises almost daily – to ensure the work is being done correctly and on time – or if you live abroad then find someone else who can lead the project management. Here at VINGT Paris, this is one of the many services we can provide for you in-house and it’s something that we do recommend. Having our dedicated project manager is a very worthwhile investment, as not only can they can help out with every aspect of the work, but even with the negotiation of the quotations from the different contractors. There’s also some important paperwork of which you need to be aware. Whilst a straightforward renovation doesn’t need any permits, small improvements such as replacing windows and doors or doing a basic attic conversion will require a Déclaration Préalable, usually acquired at the local town hall. Depending on the type of work being done, there are also one or two other bits of paperwork that may be required, and again this is something that we can guide you through. So now that you have the relevant paperwork in place, you’re all set to spruce up your new Parisian pad and make it into ‘home sweet home’. And you can also rest safe in the knowledge that any structural work done by professionally registered builders or artisans is insured for 10 years. Contact us to see how VINGT Paris can assist you in your interior design project.